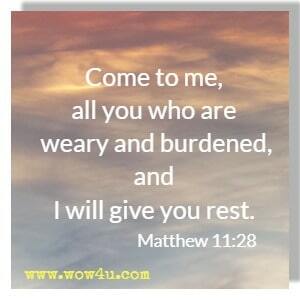 Feeling down, read these encouraging bible verses for depression to uplift your spirits. We are hard pressed on every side, but not crushed; perplexed, but not in despair, persecuted, but not abandoned; struck down, but not destroyed. "There is hope for your future," declares the LORD. Praise be to the God and Father of our Lord Jesus Christ, the Father of compassion and the God of all comfort, who comforts us in all our troubles. Be joyful in hope; Patient in affliction, Faithful in prayer. God himself is who goes before you. 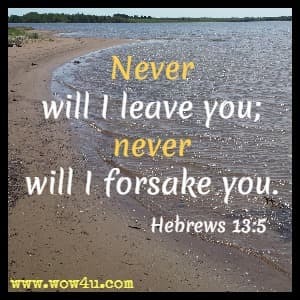 He will be with you. He will not fail you nor forsake you. Don’t be afraid. Don’t be discouraged. Don't be afraid, nor be dismayed; for the Lord God, even my God, is with you. He will not fail you, nor forsake you. God will also be a high tower for the oppressed; a high tower in times of trouble. Trust in the LORD with all your heart and lean not on your own understanding; in all your ways submit him, and he will make your paths straight. 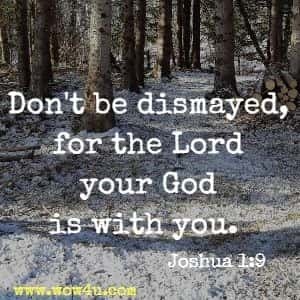 Don't be dismayed, for the Lord your God is with you. Don't be afraid, for I am with you. 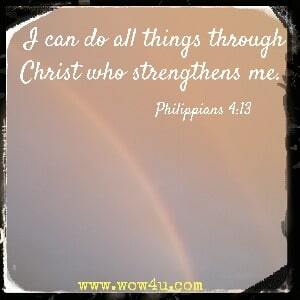 Don’t be discouraged, for I am your God. I will strengthen you and help you. I will hold you up with my victorious right hand. Worry weighs us down; a cheerful word picks us up. Be strong. Take courage. Don’t be intimidated. Don’t give them a second thought because God, your God, is striding ahead of you. He’s right there with you. 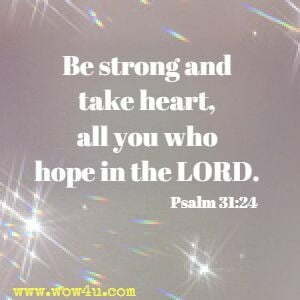 He won’t let you down; he won’t leave you." I can never escape from your Spirit! I can never get away from your presence! If I go up to heaven, you are there; if I go down to the grave, you are there. If I ride the wings of the morning, if I dwell by the farthest oceans, even there your hand will guide me, and your strength will support me. Jesus replied, "What is impossible with man is possible with God."